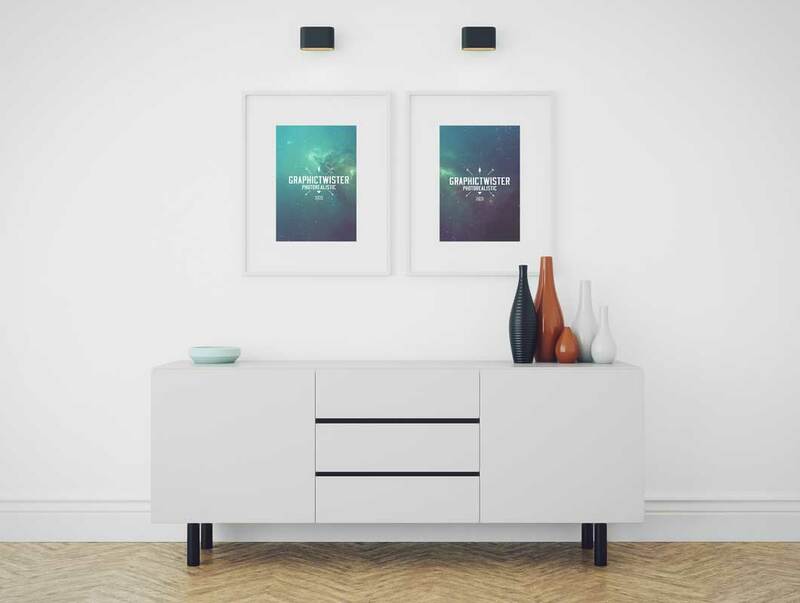 This PSD Mockup includes 2 clean and modern picture frames with wall lighting. This realistic photo scene includes modern furniture with cabinet doors and drawers. The white background wall and modern hallway bureau are subtly bookended by the black feet of the bureau and the black lighting fixes above the picture frames.